Dates: 6TH – 12TH September 2018!!!!!!!!! 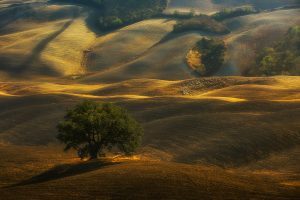 We’ll visit Tuscany in its Autumn colours, the rolling hills, golden mists in the morning over the Val d’Orcia region, silvery olive gardens and amazing local cuisine. 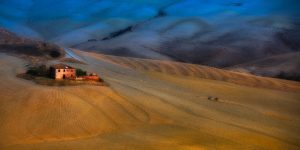 That is Tuscany…. Our base will be a fabulous, Hotel located in San Quirico D’Orcia, .Offering a Tuscan restaurant and an outdoor pool, Hotel . 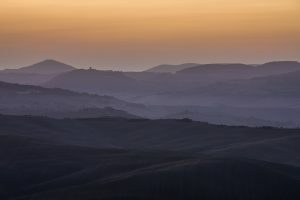 Rooms at the hotel have a balcony with views of the Val d’Orcia. All come with free Wi-Fi, a private bathroom and minibar. A daily buffet breakfast is provided. The restaurant is open every day and specializes in local dishes. 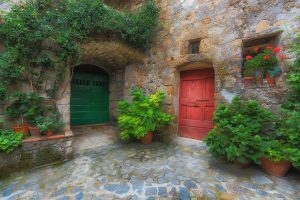 We’ll travel every day to the magnificent fields around Tuscany and the small towns of Sorano & Pitigliano . 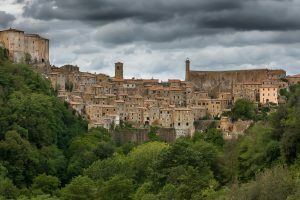 Two picturesque small Etruscan towns, hewn in tufa rocks, keep the ancient spirit to this day. A medieval hilltop settlement built from volcanic rock and overlooking the River Lente in Grosseto province, tiny but bright gems in Tuscan History. 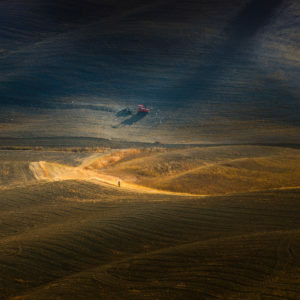 We’ll spend a day in the fabulous City of Sine /Pienza, home to the most exemplary architectural gems of the region. Visit Podere Belvedere one of the most photographic attractions in Tuscany. 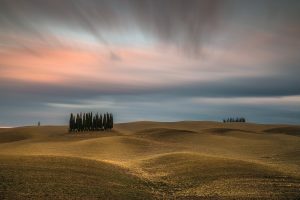 Walk the farm roads in the smooth hills of Torrenieri and see its famous cypress grove. Our timetable will depend very much on the actual weather. 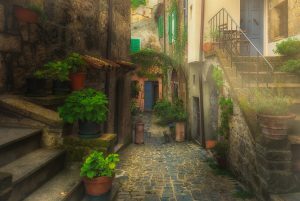 On a grey rainy day we could walk the wet streets of medieval towns, looking for reflections and bright colours highlighted by rain – or just sit down by the fireplace and have a discussion or another master class in processing. A wide angle lens. 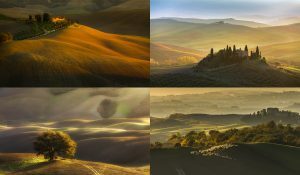 For example, Nikkor 14-24 or Canon 17-40, 16-35. 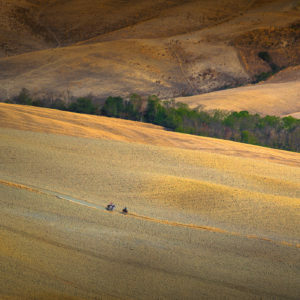 A telephoto zoom lens, such as a 70-200-400 mm – one of the most important lenses in Tuscan landscape. Waterproof and windproof jacket (consider the average temperature +5 to +10 C at nights and +10 to +25 C during the daytime). All transfers to and from the Airport in Italy. Transfer to and from airport it Italy. Single supplement 400 euro extra. Lunches, Diners (excluded 1st night). Difficulty: Easy – involves walking.